On Friday 25th of September the Valladolid Science Museum presented the 10th congress “European Researchers´ Night”. This event is an initiative from European Union organized by Valladolid University under the motto ‘Scientifics for a better future’. This event offered a delightful evening with educational activities for all the attending public, being the main objective to bring closer the researchers and their knowledge to the general public, achieving a general improvement in the research environment. In this congress, universities, research centres and museums of fourteen cities around Spain have taken part. Freemoby Project Second Year Update. Freemoby project has just passed its second review evaluation by the European Commission. Focused on the implementation of easy to deploy micro fully electrical vehicles (up to 650kg) and city EVs (650-1000kg), freemoby is counting on renewable energy installations like solar energy in roof houses, solar parking and photovoltaic battery installations to attract a wider number of EV users impacting on efficiency, reduced energy waste and lowering the dependency on hydrocarbon. 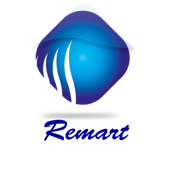 Since April 2013, CIDAUT has been coordinating REMART project, carrying out the technical tasks in collaboration with 3 partners, CIDETEC, ITRB and PBLH and under the direction of AGUSTA WESTLAND as Topic manager. LIFE+ New Jersey Project has entered its final stretch, with the installation in a road of a section of the concrete with end of life tires (ELTs) barrier developed by SIGNUS and tested in Cidaut facilities. Shortly after the broadcast event held in the Committee of the Regions in Brussels, last March, Project Consortium proceeded to the start of the final milestone of the project, the installation, in the M-511 highway of the Community of Madrid Road Directorate, a stretch of concrete safety barrier with ELTs chips in concrete composition.